1. 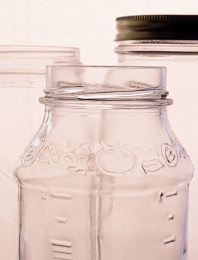 Punch holes in the lids of the jar or use gauze and rubberbands to cover the opening. 2. Alternate layers of dirt and sand to form layers 1/2 to 1 inch thick. 4. Cover outside tightly with black or brown construction paper. This step is very important - you want the worms to tunnel along the outside of the jar. If the jar is not covered they will stay in the middle. 5. The cornmeal may be sprinkled on top of the dirt for food (not necessary if you use compost or put some crumbled dry leaves in). 6. Check for tunnels every day and recover the jars. 7. Release the worms in someone's garden. Join in and write your own page! It's easy to do. How? Simply click here to return to Easy Science Experiments.